DJ Lord (born Lord Aswod’ in Savannah, Georgia, United States), is an American DJ and turntablist. In 1999, DJ Lord joined the hip-hop group Public Enemy on its 40th World Tour replacing Terminator X. Soon after, DJ Lord had his own performance segment within the Public Enemy show. 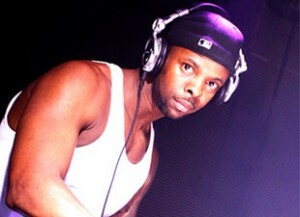 While hip hop has been at the foundation of his career, he also works in the drum and bass arena. His career and the art of turntablism is documented in the DVD, DJ Lord – The Turntablist Chronicles, released in 2004. In addition to working with Public Enemy, DJ Lord tours solo as well as with Flavor Flav in his solo effort as well as with art exhibition Arts, Beats + Lyrics. He has also performed with rock band Confrontation Camp and TrillBass.